In the Victorian period, the children’s fashion underwent a number of changes. The dresses worn by both boys and girls were alike until they were five years old. However, their dressing style changed as they grew up. 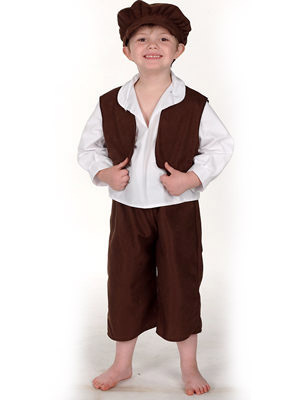 Children used to wear clothes made from cotton or wool that was found around the house. The children’s dress had long or short sleeve depending upon the season. The invention of the domestic sewing machine in 1851, it was easy for people to make clothes at home. During the 1850s and 60s, small girls wore crinoline petticoats like their mothers. There was a significant difference between the clothes worn by girls and their mothers. The length of the skirts worn by little girls was short than their mothers. The narrow skirts that were more restrictive were in vogue in 1870 and 1880. Sailor suit first seen on Queen Victorias eldest son was popular for both boys and girls. In the 1890s, it acceptable for girls to wear loose fitting dresses and separate skirt and blouses. The major difference in the clothes of the Victorian era and the clothes worn today is the number of layers worn underneath. A girl first wore a chemise (loose fitting shift), then long knickers, stays (softer corset), stockings and a minimum of two petticoats. The clothes worn by girls were of light colors. Boys typically wore dark or bright color clothes. Fauntleroy suits were popular for boys, which consisted of a velvet tunic or jacket with corresponding breeches and a lace collar. The sailor suit first seen on Queen Victorias eldest son was popular for both boys and girls. 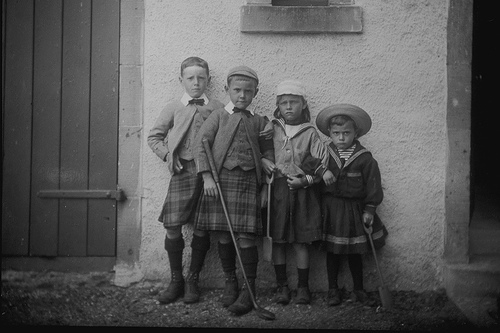 Boys in the Victorian era wore dresses instead of breeches or trousers till they were five years old. See more info here: Victorian boy’s costume.